This seems to be a reincarnation of Reputation notifications seem to be broken again, which was marked status-completed. So: status-uncompleted. Today (Feb 6th) on Science Fiction and Fantasy I reached the rep cap (+200 points exactly), as shown by my profile (there are no deleted post notifications for today). 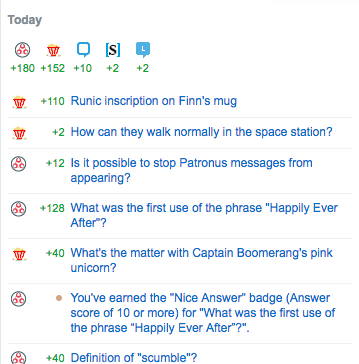 Browse other questions tagged bug reputation notifications . Why does my reputation not add up? Less than 10 rep for an upvote without hitting the reputation cap? Why is the /review page available to unregistered users? Inaccurate reputation graphs - bug or as designed?